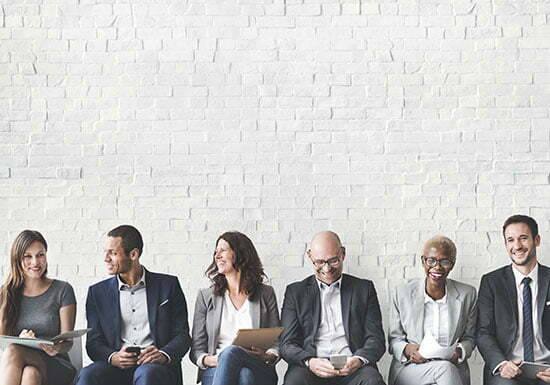 How HR Personalization Affects Businesses - Duffy Group, Inc.
Today, we live in a world where things are tailored to our specifications. Smart companies use data analysis to know not only what we’re looking for, but when and how we want it. When we’re online, we’re presented with custom ads designed to meet our specific needs and desires at that moment. Amazon seems to know what we want to buy before we do; Netflix, meanwhile, offers us a personalized selection of films based on our viewing habits. While this kind of personalization is widespread in the consumer arena, it also has great utility in the world of HR. By employing HR personalization, organizations can identify and hire the right people — and keep those workers happy and healthy moving forward. As illustrated above, personalization has been a huge boon for marketers. The more a business knows about its audience, the better it can cater to their needs. Armed with this kind of knowledge, marketers can deliver higher-relevant, targeted messages and content to prospective buyers. In theory, it’s a win/win situation for both parties, as businesses don’t waste their time pitching to people who aren’t interested and consumers aren’t bombarded with irrelevant ads for products they would never buy. This kind of personalized approach has become more popular in the HR space. Highly sought after workers now largely expect some degree of personalization in the recruitment process. And that makes perfect sense — no two candidates are alike, so a universal, one-size-fits-all approach to recruiting is never going to be optimal. To win the services of the best candidates, recruiters should familiarize themselves with the backgrounds, interests, allegiances and preferences of their preferred targets, then use this information to craft a highly-personalized pitch. This pitch should emphasize what the organization can do for the candidate in terms of professional development. As any good marketer knows, personalized messages and appeals garner more responses than impersonal ones. It’s simply human nature to want to respond when approached on a personal level. Personalization shouldn’t stop once an employee agrees to terms. Customized career development opportunities, featuring highly-tailored training or learning experiences, are an efficient way for workers to keep their skills sharp. Rather than shoehorning workers with varying skills sets and competencies into a one-size-fits-all training program, organizations can save time and expense by developing these skills in a targeted, personalized setting. Training in a group format often means that some workers will be forced to review material they’ve already mastered, while others may fall behind simply because they don’t learn well in a particular style or setting. By using a targeted, personalized approach, these problems are resolved. Workers can develop at their pace, in their preferred style, and focus only on the skills and competencies relevant to them. In addition to professional development, many organizations are taking a personalized approach to health and wellness initiatives. Modern technology has made the process of tracking health metrics easier and more engaging than ever. Software applications, pedometers and other wearables, fitness contests and other personalized health programs are all effective tools wielded by modern HR departments.